Brawny T-Bird. So I find a car on my grandmother’s street. Big deal. A Thunderbird? Big deal. It is not a mid-fifties model. 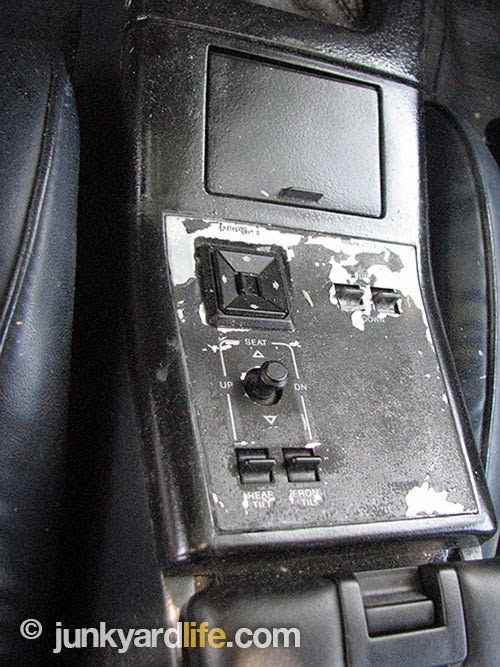 It’s a 1987 model and the paint doesn’t even look good. I pass by and there it is again. Is that a weird hood? And the stance, I admit, looks a little sinister. ‘Sinister,’ a word often used by us, automotive writers, to describe menacing looking cars, such as the famed Buick Grand National of the same era. Their recipe for success? A smaller C.I.D engine and a big turbo. What, besides the era and styling, makes these two cars even comparable? I’m a Buick guy and I’m finding lots in common, actually. way of shifting gears — with a factory five-speed! This time, as I drive by, I toss a glance in the T-Bird’s direction. I see a gentleman in the yard. “Why am I stopping?,” I ask myself. I don’t want a Thunderbird. (Do I?) Maybe I do? 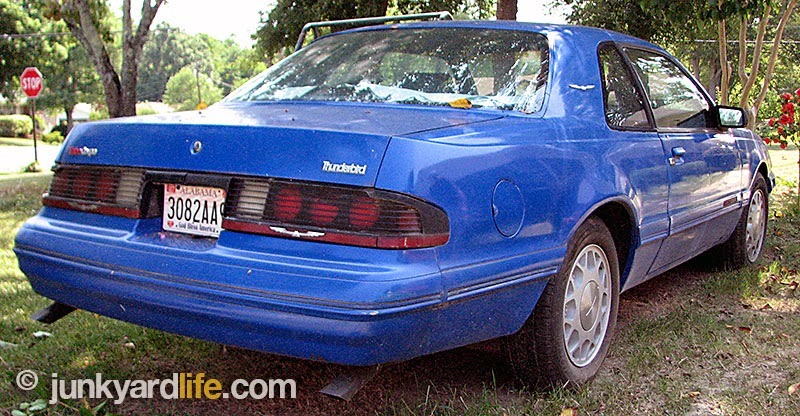 I think about this blue Bird a lot more than I admit to my Pontiac friends. I stop and explain to the owner that my grandmother lives a block over, that way, and I pass by and see his car, a lot. I inquired. I did. The owner told me I could look at it. I found the special hood, the fat tires and now a manual transmission shifter is looking back at me. A 5-speed? A Turbo Coupe! I told you this car was suspicious. Just as I suspected. travels and I can't stop thinking about it! So we chat a bit. I thank the owner for letting me look at the T-Bird. The fellow does plant the idea that he would sell it. No room at the inn. I surmise that the Thunderbird may have been relegated to a yard spot upon the arrival of a newer car. Now the thinking begins. So, I read up. I find that this is an unusual car that hasn’t seemed to hit the collector circles yet. Barret Jackson, keep your hands off our Turbo Coupes, so we can still buy them at a decent price. I learn that Ford started putting the stout, 2.3 liter, 4 cylinder turbo Thunderbirds together since 1983. That doesn’t sound so scary. Well, by 1988, they cranked the boost at the factory to 17 lbs! Well, no wonder they ran well. I learned that Traction-Lok rear axles were found under them as well as other world class, handling components. Then, I remember the chatter from that era. People claiming that the Turbo Coupe ran side by side with the 5.0 Mustang of the era. Furthermore, it was all that the pony cars could do to outrun the Turbo Coupes. Impressive to say the least. 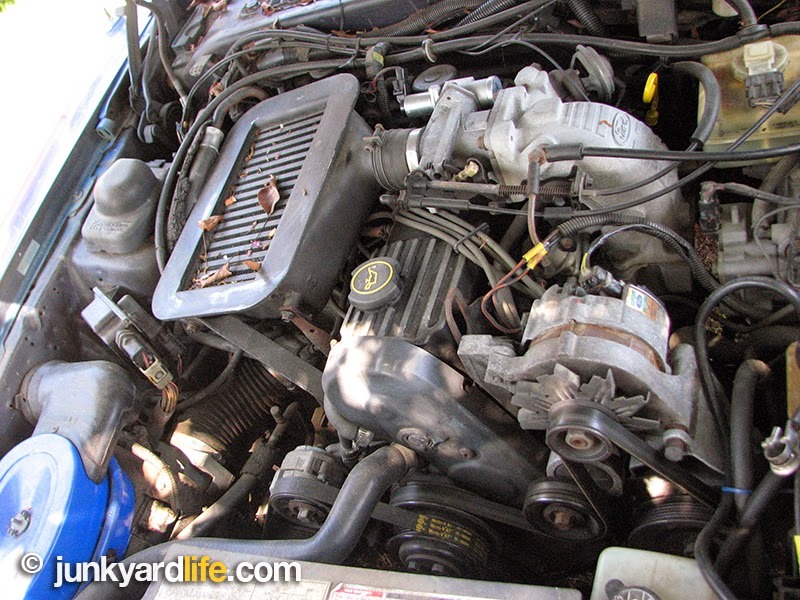 Under the hood we find an intercooled 2.3 Turbo motor. 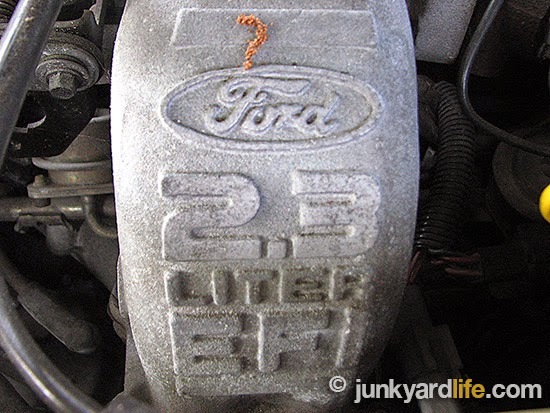 The same power plant can be found between the fenders of the famous fox-body Mustang – The SVO. The original 2.3-liter intercooled and turbocharged four-cylinder engine pumped out 190hp with the full complement of 240-lbs.ft. 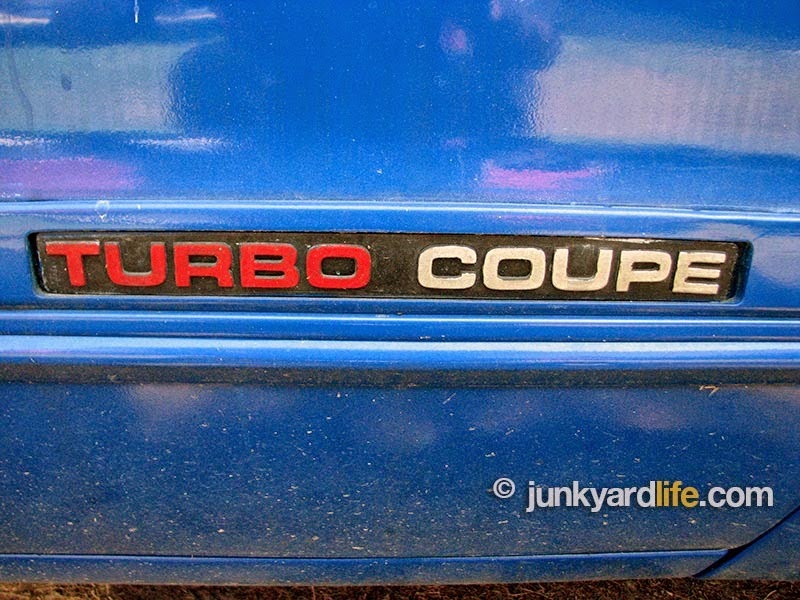 Time to tangle with a T-Bird turbo? So what about now? In a world of Coyote motors and LS everything, could the Turbo Coupe hold its own on the street? Probably not. Although, you do have a new generation of turbo technology and a couple of decades of trial and error by guys with greasy knuckles. Someone knows what works. I’d start with a bigger turbo and more intercooler. And maybe more fuel pressure? Now I am having a moment where I realize I do want this car. It is different, yet subtle, in a world where it shouldn’t have existed. Some cool department at Ford didn’t want the Mustangs to have all the fun. 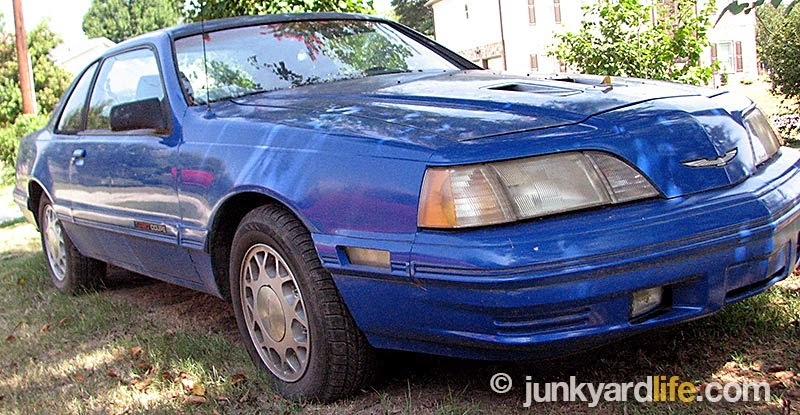 Ford did put that Turbo four-banger in a Mustang — the SVO. That is one collectible and fast Ford. I bet it was the same guys who put a stout-but-small motor in the Taurus of all things and deemed it an SHO. Hats off guys. Great job. So now what? 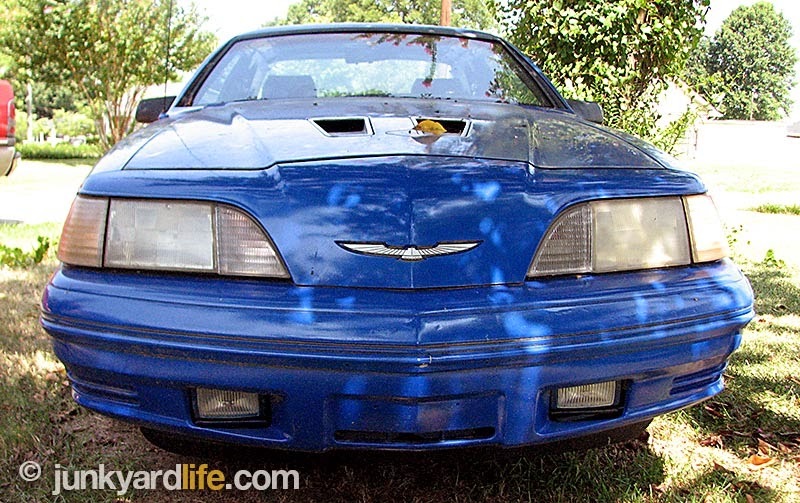 A blue 1987 Thunderbird is looking at me. What if it follows me home? I’m drowning in our shoebox, hot rod project. I don’t need another car, do I? Well? Do I? Turbo Coupe emblems assure me this is not like most Thunderbirds. Note: Body molding color should be black, but the owner had a hard time keeping them black, so he had them painted over in body color. Both built on the mid-size sedan platforms. Neither offered in four-door model. Usually the most expensive Regal or Thunderbird on the lot, due to options aplenty. Both used smaller engines than we would have thought and sweet turbos. Marketed to the same demographic. Not cheap or plentiful and priced accordingly. Both look sinister. I said it. Sinister. Also, managed to look subtle and unobtrusive to the layman’s eye. I know we can spot one with one eye tied behind our back, but ask your mother or your math teacher and they will not have a clue. Neither had a V-8, but still managed to demand high insurance premiums. 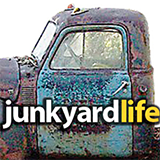 Junkyard Life note: we know the Regal and the Thunderbird were offered with V-8’s, Mr. Technical. But we are only referring to the Turbo Coupes and the Turbo Regals. I was offered a chance to drive the car. I declined. The innocent owner was unaware that Ron Kidd and Turbos cannot be trusted in the same car. This refurbished turbo, intended for a bigger truck, is not just whistling "Dixie." This has major boost! Power everything. Power seats, sentinel light dimmer, extra stereo (aftermarket head unit), power door locks, dual power mirrors, power windows. 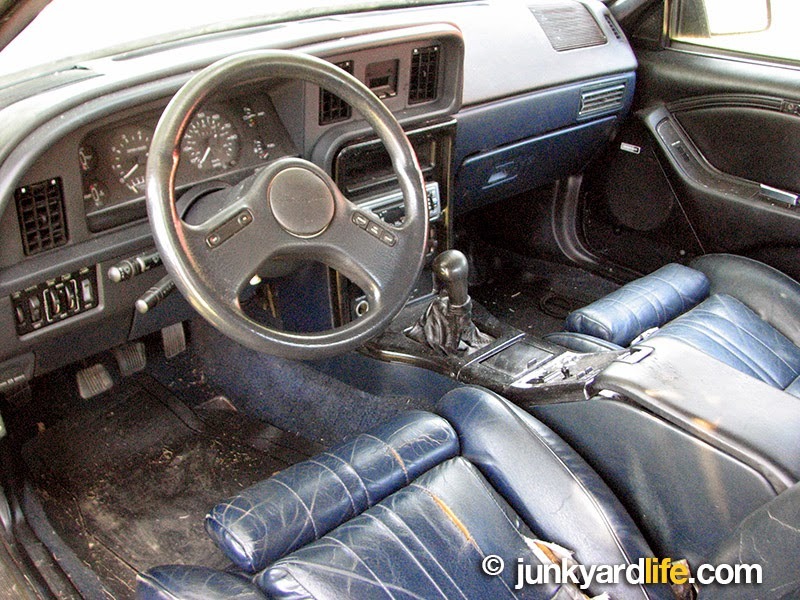 Ford built 128,533 Turbo Coupes between 1983 and 1988. The final TC production year, 1988, saw 35,271 hustle off dealer’s lot.